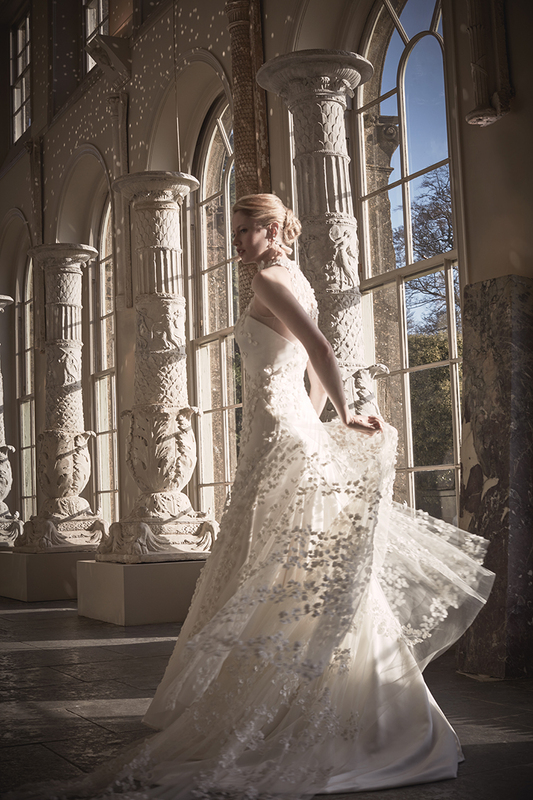 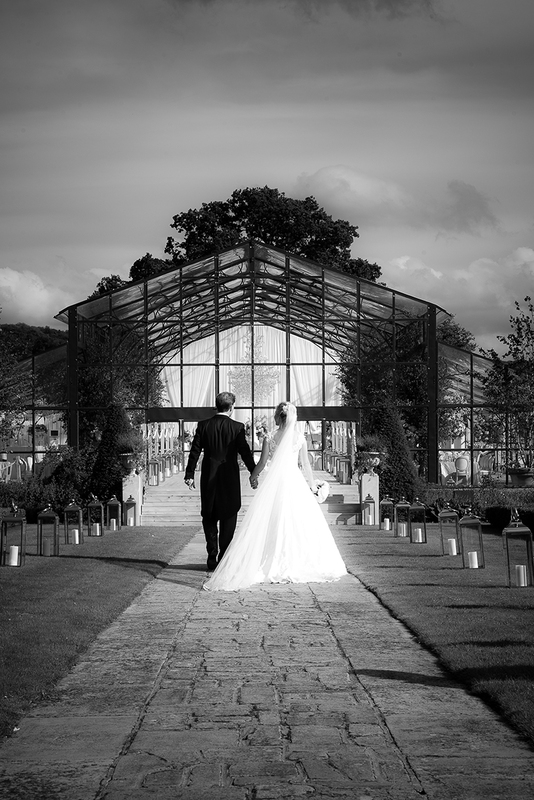 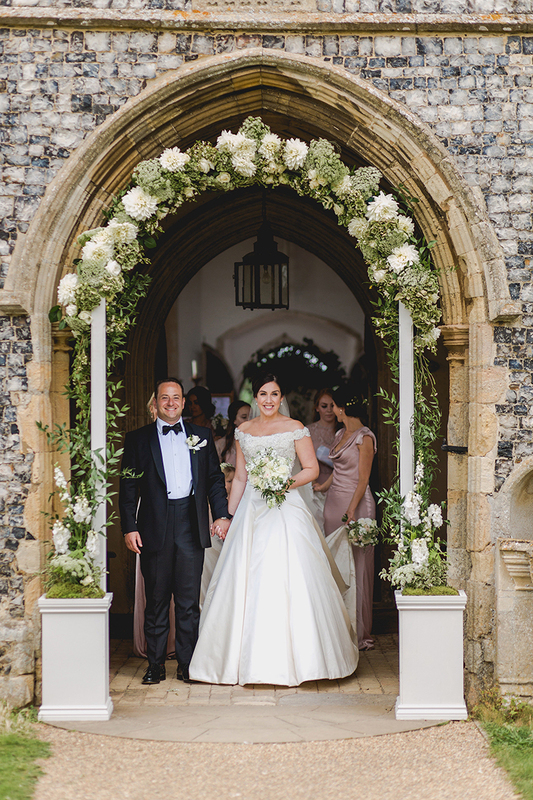 Maria’s bespoke Phillipa Lepley wedding dress combined the luxurious elegance of Italian heavy weight duchess satin and the dazzling sparkle of embellished lace. 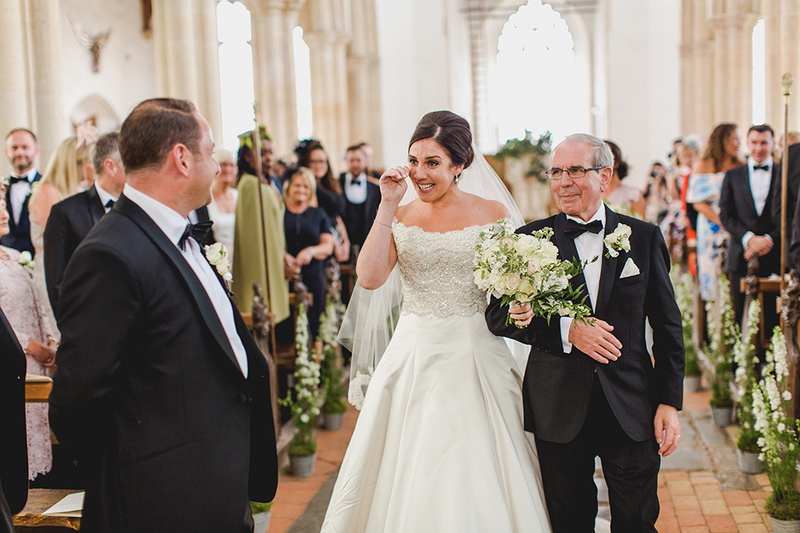 The corseted bodice of Maria’s dress was created with layer upon layer of hand embellished lace edging, individually pieced together and built up to an off-the-shoulder neckline. 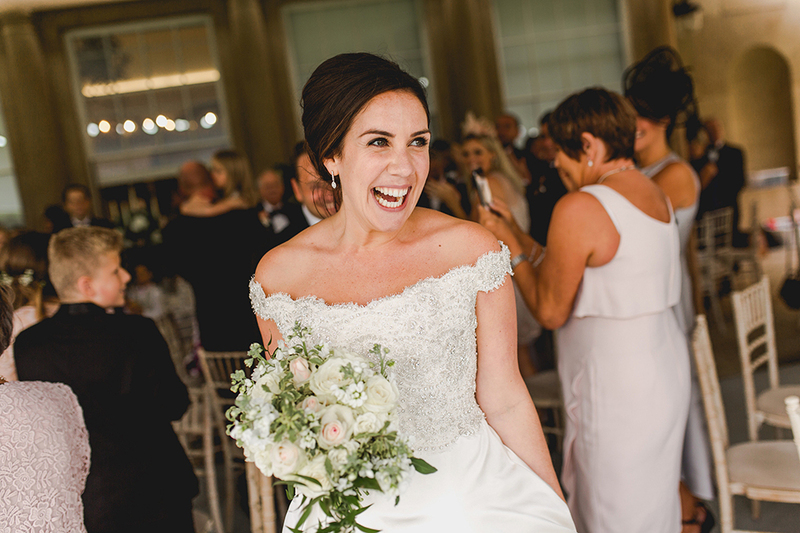 The undulation of the lace scallops combined with the glistening crystals accentuated Maria’s gorgeous shape in her dress. 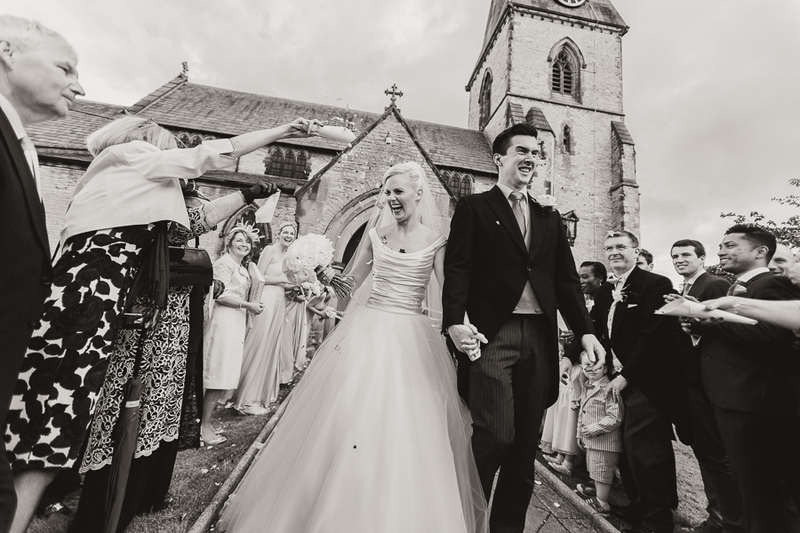 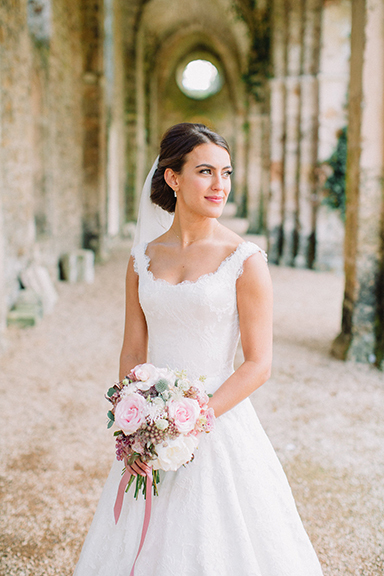 We carried Maria’s love of sparkle through to her bespoke silk tulle veil. 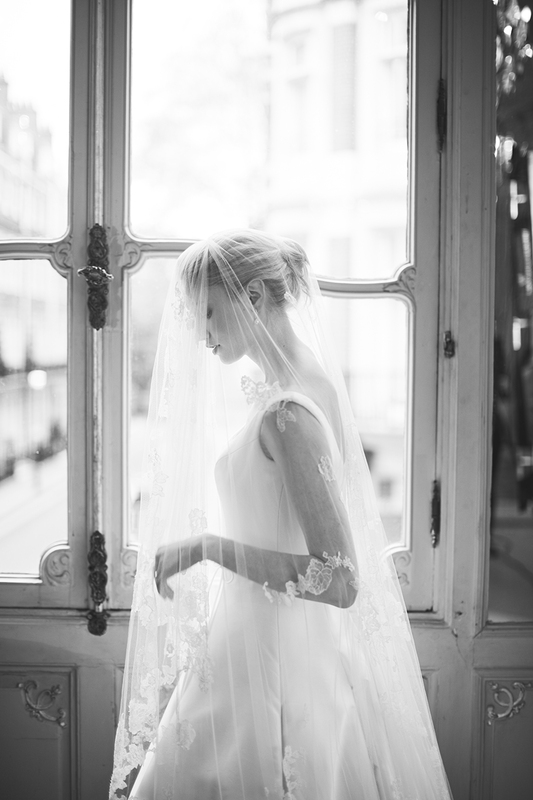 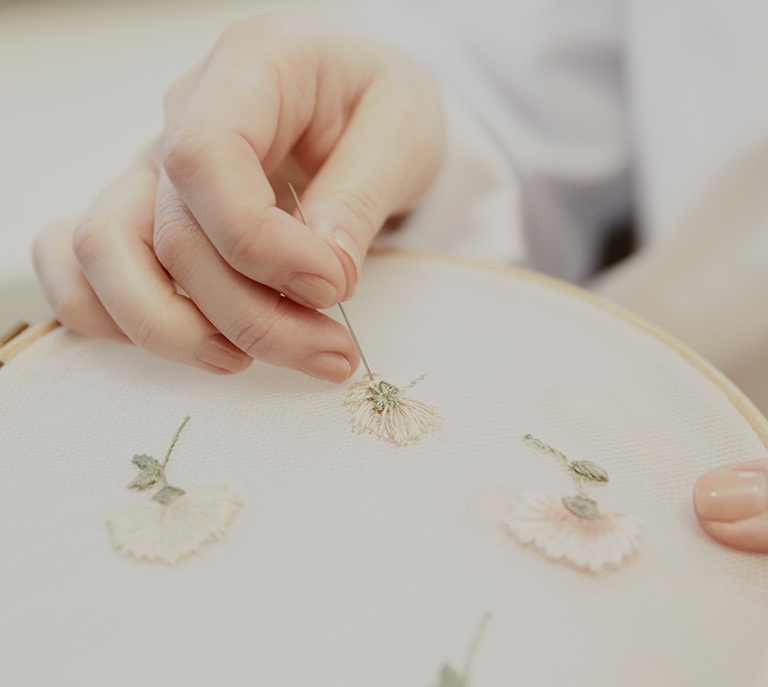 Hand embellished in our London atelier, Maria’s veil was appliquéd with matching lace, delicately scattered with crystals and beads to tie in with the bodice of her dress.